To have a credit card is great, as it can help you out of tight financial situations. If not used responsibly, however, it can also be the reason you end up in worse scenarios. Watch out for credit card mistakes.Using credit is easy because you can just swipe a card. Being responsible should be the priority. A credit card has a limit, and you need to remind yourself that it, in fact, is not your money. You have the choice to use it, but it must pay it back. Use a credit card responsibly to avoid debt. Here are some of the worst mistakes you can make with credit. Making Only Small Payments on Your Credit Balance. If you spend money on your credit card, you must pay it back in full. There is the option of either paying the full amount immediately or only make small payments over a longer period. The lower fee may seem ideal, but that meant that the initial price increases, due to interest. It is better to use your credit card for payments that can be paid back at the end of the month. Not Making Your Payments On Time. Using credit cards is very convenient, but respect the due date to pay back what you owe. 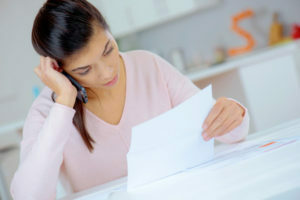 Making payments later than the agreed due dates creates question marks on your credit record. It also adds extra costs to what you already owe your credit provider. Increasing the Percentage You Use of Your Credit. You do not want to exceed in using more than 30% of your credit balance. You can use the maximum amount on your card, but that should not be your goal. Spending over 30% of your credit limit will reflect negatively on your credit record. Many times we receive our statements, but just add it to the pile of unread mail (electronic/printed). There may be possible charges that you are unaware of, which will be stated on your report. If you never read your report, you will be unaware of ways you could have saved. Ignoring The Terms And Conditions. You got your credit but never considered that there is more to it than just spending money that is not yours. There are charges to spending the credit. All financial institutions charge for giving you credit, some more than others. Some may even have hidden costs. You need to be sure you understand everything, before using credit. Applying For Various Credit Cards. The problem isn’t in applying for various credit options, but it can become a problem on your credit record. Too many applications look like you cannot work wise with the money you have. This causes financial institutions to question your credibility in future dealings. Asking for continuous loans creates doubt if you are financially responsible. Charges are high and can increase your debt to elevated levels. Using credit requires accountability. Read everything your financial provider sends, to prevent unnecessary credit card mistakes.